As recently as six months ago, it was easy to disregard the Internet of Things (IoT) as just a theoretical market that Cisco measured in the trillions, but whose potential never seemed to materialize. That’s all changing. The past year ushered in a new era for the Internet of Things for three reasons. First, venture capitalists invested nearly $1B of capital in the IoT in 2013, more than 3% of all VC investments by dollars. Second, the sector witnessed its first IPO, Control4. And third, Nest’s sale to Google last week set the high water mark for IoT acquisitions, measured at more than $3B, firmly establishing the category as a strategic imperative for the world’s largest technology companies. 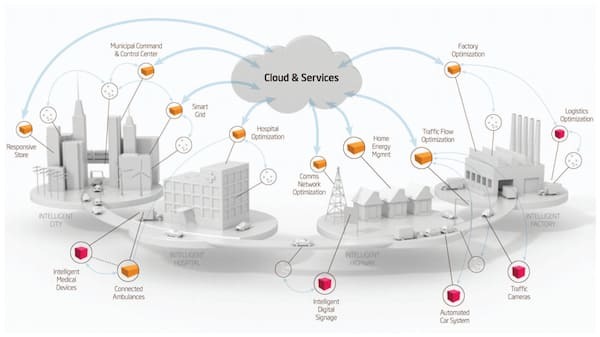 The IoT momentum generated in 2013 will only continue to grow, as the number of connected device startups and products compounds, each looking to satisfy an unmet consumer want or enterprise need. By 2017, each consumer will have 5 connected devices, more than double today’s per capita figure, which potentially doubles the total revenue of the hardware market. To realize the true potential of the IoT dream, the development of connected devices must be made simpler and easier. In addition, all of these billions of new devices will need to communicate with each other, seamlessly. That’s why I’m so excited about the future for IoT companies, in particular Electric Imp. In the same way Amazon Web Services advanced online storage and computing infrastructure simplifying deployment and reducing launch costs sfor startups, Electric Imp frees innovators to focus on the things they do best - build great products. No longer do companies have to create back-end infrastructure and worry about connectivity, scalability and compatibility; they can focus on the design and differentiation of their product. 2013 was just the beginning for the IoT. With billions of new devices and innumerable new uses for them, our world will change dramatically over the next decade, fueled by the innovation of entrepreneurs building novel connected products.